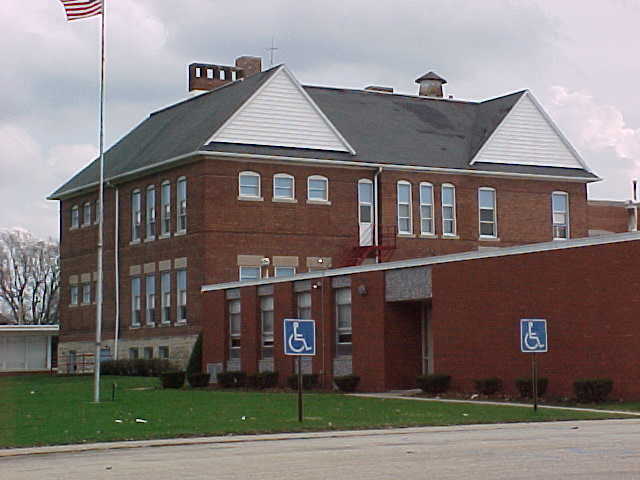 Ford Central High School "Cougars"
Piper City (population 781) is located in upper-eastern Illinois about 25 miles east-southeast of Pontiac. The town was platted in the north-central "panhandle" region of Ford County. U.S. Route 24 intersects with Illinois Route 115 on the "outskirts" of the south and west sides of Piper City, giving a lot of road travel to and from the town. According to Map Quest (www.mapquest.com), the Toledo, Peoria, & Western Railroad is the owner of the railroad tracks that divide Piper City. A branch of the North Fork of the Vermillion River flows both to the west and to the east of Piper City. Roberts (population 387) is located on Il. Route 54 approximately 40 miles southwest of Kankakee. This places Roberts in northern Ford County. The Illinois Central Gulf Railroad runs through the center of the town. At one time all three towns featured their own high schools. In 1949 Roberts and Thawville combined their schools to create the Roberts-Thawville School District. Dwindling enrollment was the cause for consolidation talks between Piper City High School and Roberts-Thawville High School. This effort became a reality in 1974 with the creation of the Ford Central School District. 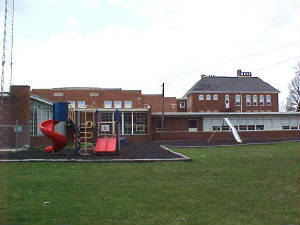 The high school for the Ford Central School District was located in Piper City. Ford Central High School had a lot of success in its short tenure. Continued declining enrollment forced further consolidation talks for the residents of the three towns. 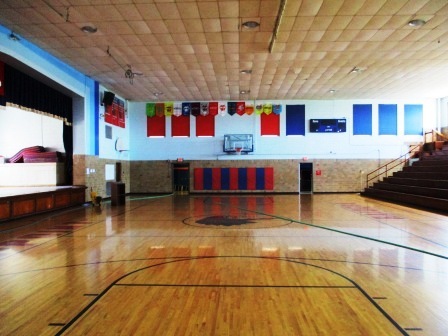 It was decided in 1992 that the Ford Central School District would be deactivated. Residents of the three towns decided to "go their own way". 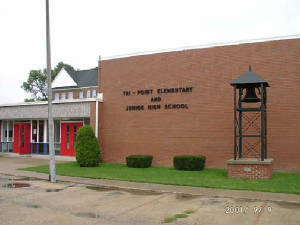 The Piper City kids were annexed to the Tri-Point (Cullom) School District, the Roberts kids now attend school at PBL, and the Thawville kids go to Iroquois West (Gilman). School Fight Song: "Go U Ford Central"
Break right through that line! We will cheer for you all the time! Go Ford Central win this game!! The Ford Central Cougars were an extremely competitive bunch. The sports of boys and girls baskeball, boys and girls track, football, and volleyball all enjoyed a measure of success in the IHSA playoffs (www.ihsa.org). All of this in only 18 years of existence! The Cougars participated in the Vermillion Valley Conference for most of the early years of their existence. V.V.C. members included the Chatsworth Bluebirds, Gilman Owls, Onarga Indians, Forrest-Strawn-Wing Eskimos, Tri-Point Chargers, Reddick Bulldogs, Cornell Cardinals, Milford Bearcats, and the Saunemin Eagles. They moved to the Sangamon Valley Conference in the 1980s where they played the likes Gardner-South Wilmington and the Mazon-Verona-Kinsman Red Devils. . The best of their seasons are listed below. The best overall and longest sustained success came from the FCHS Lady Cougar basketball program. There were no "losing" seasons, three undefeated regular seasons, three Sweet 16 apppearances, two Elite 8 appearances, five Regional Championships, and 4 seasons of 20 or more wins. Check out the season by season coverage below. 1988-89 through 1991-92 seasons not currently available. The Ford Central Cougars also had success on the hardwood court. The boys won two Regional titles and had several successful seasons as well. The best are listed below. Coach Randy Feller would go on to have 300+ coaching wins in his career with a stop at Hoopeston East Lynn included. Records and coach's names for 1986-87 to 1991-92 not available. The Ford Central Cougars of the grid iron had at least two seasons where they excelled. The Cougars made the Class 1A playoffs once and the Class 2A playoffs once during their existence, advancing to the Class 1A Sweet 16 in 1985. One name defines the State Meet success for girl's track program at Ford Central High. The Delap girls, Lisa and Lori, led the Cougars to a seventh place finish in the 1976-77 state track meet. Remember, this was a one class system, making their accomplishments even more incredible. In 1977 Lori was the 1 Mile run Champion and Lisa finished 2nd in the 880 Yard Run. Lori Delap 1 Mile Run STATE CHAMPION!! One Cougar male athlete brought home a medal from the State Track Meet. His accomplishment is listed below. The lady netters at Ford Central also won a couple of trophies. The teams of 1978-79 and 1979-80 won District titles. Unfortunately the records of these and other great FCHS volleyball teams are not available.